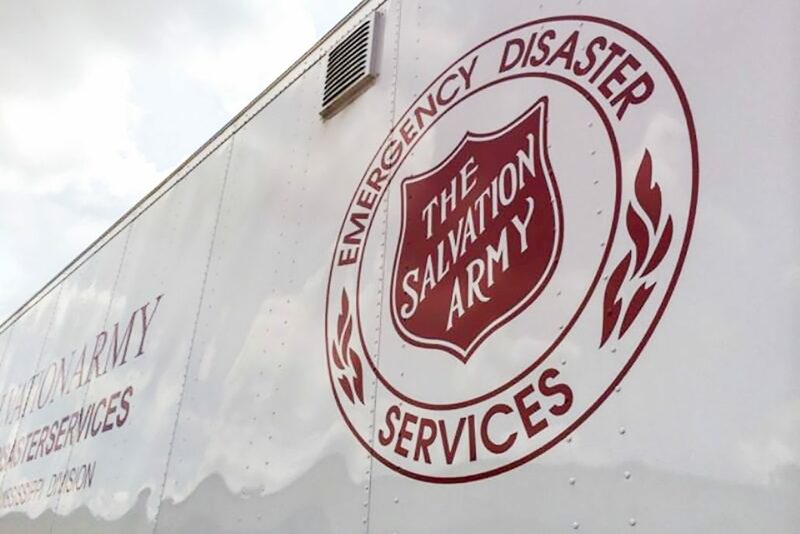 Jackson, MS—The Salvation Army Alabama, Louisiana, Mississippi (ALM) Division has sent seventeen people and five mobile feeding units to serve in Hurricane Florence relief efforts. These teams began deploying yesterday to stage in Charlotte, North Carolina to respond immediately after landfall. The ALM Division is also currently assembling and notifying additional personnel to serve as an Incident Command Team (ICT) and two additional mobile feeding units that will be deployed post landfall Friday–Sunday. The Salvation Army helps after a disaster by providing food, drinks, shelter, emotional and spiritual care, and more to meet the needs of those affected by disaster. We are able to do this because of the generous donations we receive from the public. A financial contribution is the best way to help after a disaster and The Salvation Army uses 100% of all disaster donations in response to that disaster. To give to The Salvation Army’s relief efforts for Hurricane Florence, go to helpsalvationarmy.org.